Colorado’s Governor, John Hickenlooper, has signed a new document for legislation that offers harsher punishments for repeat DUI offenders. It will now be a felony to be a repeat offender; up until now, Colorado was one of the few states that did not have a standard felony charge for DUI offenses. In fact, there were instances where drivers had six or more convictions, but never faced jail time. If you have had previous convictions or drive under the influence, it is important to know the harsher penalties that you could face, if arrested in the future. The new law states that after your fourth DUI conviction, you will be automatically upgraded to a felony conviction for subsequent offenses. That is punishable by up to six years in the state prison system, as well as a fine of up to $500,000. Most people are unaware of the legal limit – and how the drinks that they consume could push them toward it. You know that the blood alcohol content is 0.08 percent, but if you are under 21, the BAC is only 0.02 percent. This means that you could be over the limit even after having just one beer. 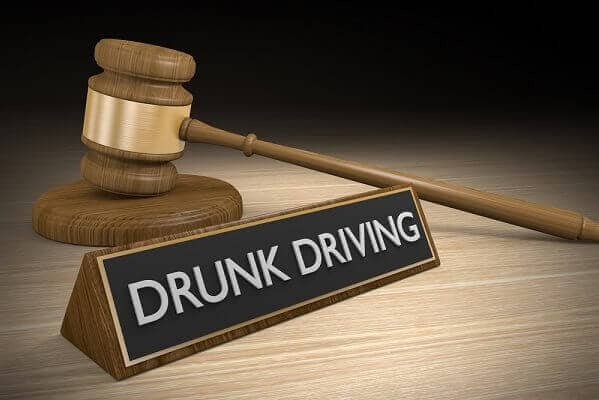 According to Colorado statutes, it is illegal to drive with a BAC of 0.05 percent or higher, but this is classified as “driving while ability impaired,” and it is a lesser offense than an official DUI. Fatal accidents in the state, as well as the country, are often caused by drunken drivers. If you are involved in a car accident and you are over the legal limit, you could face criminal and civil charges. You will also not only face a DUI conviction – you could face vehicular manslaughter charges and penalties. While a DUI conviction is a misdemeanor, it can still affect your life. If you are convicted of a misdemeanor, you could still face a license suspension, fines, jail time, and community service. If you are upgraded to a felony conviction, you will face the legal and lifetime consequences of a felony. That could include impacting whether or not you keep your job, get housing, or even join the military. Certain state and federal aid programs will automatically disqualify you, if you are a convicted felon. Whether you are being arrested for your first DUI or fifth, you need adequate legal representation. Contact the Colorado Springs DUI attorney, Christian A. Schwaner, P.C. today for a free consultation. As a former prosecutor, he knows the pressure that the state faces to convict repeat offenders, and he can help prevent you from becoming a state example. Call 719-577-9700 or fill out our online contact form today.